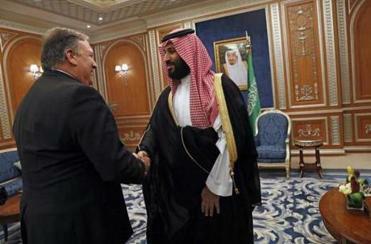 Secretary of State Mike Pompeo met Tuesday with Saudi Crown Prince Mohammed bin Salman in Riyadh. It’s hard to know if American moral leadership on human rights will be missed on the world stage. 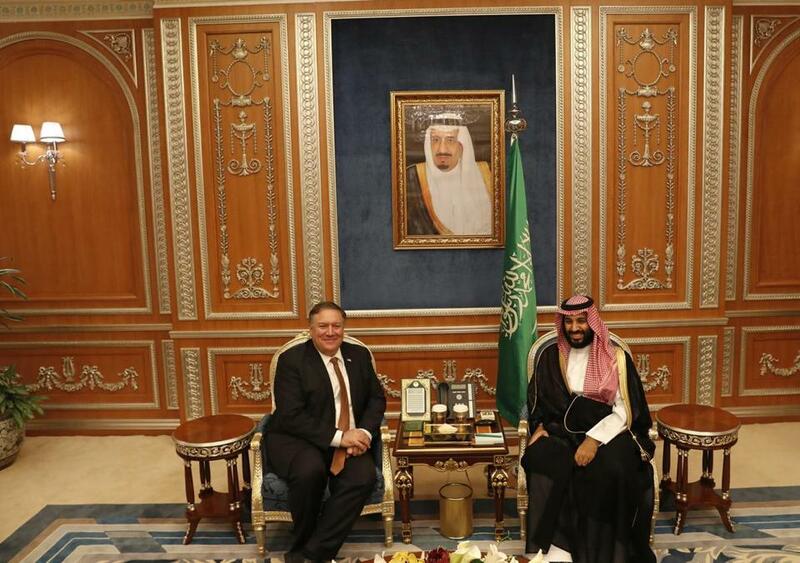 It is difficult to see how it can make much of a comeback after the president of the United States toadied up to Saudi Arabia, one of the world’s most barbaric regimes, and parroted their propaganda about the alleged death and dismemberment of Washington Post contributor and dissident Jamal Khashoggi. A critic of the Saudi royal family, Khashoggi is thought to have been murdered recently by Saudi officials while he was visiting the Saudi consulate in Turkey. Speaking to reporters at the White House this week, Trump, echoing a preposterous excuse floated by Saudi officials, suggested that “rogue killers” might have been responsible for a killing inside the consulate. Later, the president lent American credibility to the dubious denials of the Saudi king on Twitter. Press reports that the Saudis are planning to come clean about the whole affair makes this obsequiousness from Trump all the more pathetic. The Saudis seem to be gambling that the House of Trump isn’t in the mood to hold them accountable for this suspected attack on the free press. With a president who calls the press “the enemy of the people” to the rapturous adulation of his followers, it might not be a bad bet. Our justified moral outrage is no reason to avoid a clear-eyed look at the importance of the US-Saudi relationship. But Congress need not follow the Trump administration into a moral wilderness, where the only thing that matters is the brute exercise of state power. Senator Lindsey Graham has called for the removal of reckless Crown Prince Mohammed bin Salman, whose list of misdeeds — his alleged involvement in the Khashoggi disappearance aside — includes a shakedown of the royal family, a blockade of Qatar, the temporary detention of the prime minister of Lebanon, and a ghastly war in Yemen. Meanwhile, a bipartisan group of lawmakers has called for sanctions under the Global Magnitsky Act if it is shown the Saudis were responsible. Business leaders are rightly boycotting an investor conference scheduled to be held in the kingdom later this month. Saudi Arabia has hinted at retribution if it’s punished, but that’s an empty threat: Thanks to advances in domestic energy production, America can largely meet its own oil demand. If Khashoggi has died, he would be the 45th journalist killed in 2018, according to the Committee to Protect Journalists. Many of those deaths came as a result of hazardous assignments in war zones, like Syria and Afghanistan. But more than two dozen were murdered outright. The United States hasn’t been immune from the rising tide of abuse against the press: Five journalists have been arrested here, 39 have been attacked, 15 have been subpoenaed, and five have been killed this year. Members of the press play a vital role in free and self-governing societies; to attack them is to attack a central pillar of democracy. American presidents used to promote that message, and used to know better than to take the word of despots intent on covering up their crimes. But if the current president won’t defend basic human rights, Congress must.